It's a race against time and the power of evil in this heartstopping adventure from #1 New York Times bestselling author Gordon Korman. 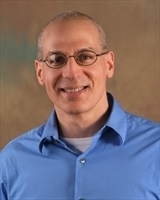 Gordon Korman has written more than fifty middle-grade and teen novels. Favorites include the New York Times #1 bestseller The 39 Clues: One False Note, The Juvie Three, Son of the Mob, Born to Rock, and Schooled. Though he didn't play football in high school, Gordon's been a lifelong fan and season ticket holder. He says, "I've always been fascinated by the 'culture of collision' in football and wanted to explore it-not just from the highlight films but from its darker side as well." Gordon lives with his family on Long Island, New York.